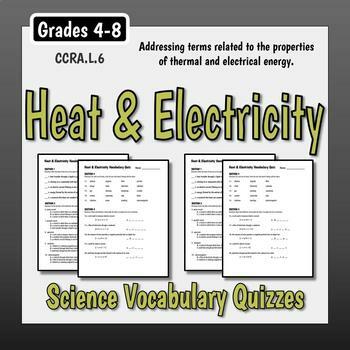 This quiz addresses terms related to the properties of thermal and electrical energy. 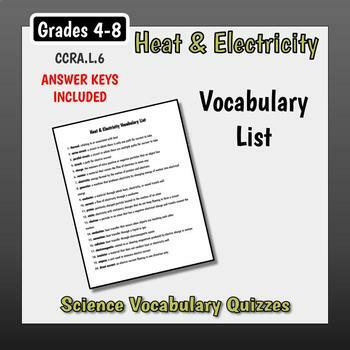 Questions are in matching, multiple choice, related words, and word scramble forms. 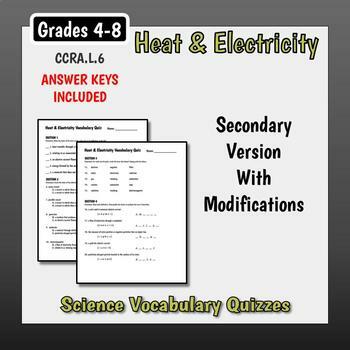 An alternate, modified version is included for struggling learners. 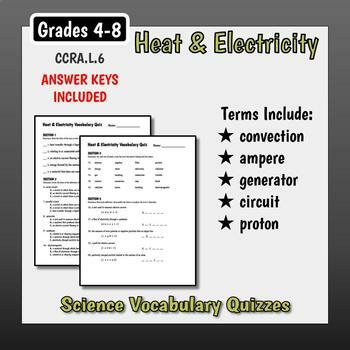 An answer key is included, as well as a master vocabulary list.